Driving operating efficiencies for you! Industrial / commercial food dehydrators and dryers. 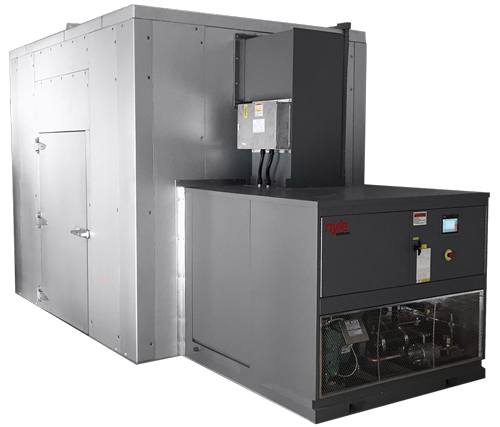 Utilizing the efficiencies of electric heat pump technology, these industrial food dehydrators have a temperature range of 80°F-160°F. These tray dryers can remove from 10lbs moisture/hour to 675lbs moisture/hour. These industrial food dryers and ovens feature indirect gas fired furnaces and have a temperature range of 80°F-220°F. Our industrial food dehydrators are capable of drying at lower temperatures, resulting in higher quality finished product. All of our dehydrators, dryers and ovens use intuitive touch screen controls with remote access capability. Our systems precise controls and innovative design gives consistent results with every drying cycle. 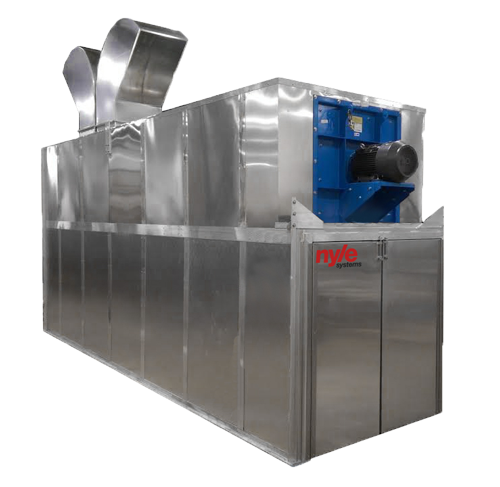 Our industrial food dehydrators utilize heat pump technology, requiring up to 60% less energy than conventional dryer. You get straight answers and on-site support from the same professionals that design and build your systems. No ductwork or gas lines to install. Installation services are offered if prefered. By far one of the most popularly consumed dried food products in the world. Dried vegetables are often seen in pre-made meals and mixes, but are also becoming popular as a healthy snack. Most commonly seen in the form of jerky. Dried seafood comes in many forms and is eaten as a snack or used in cooking. Nuts, seeds and legumes are often consumed in a dried form out-of-hand, re-hydrated or cooked. Dried flowers and leaves, such as tea or hops. Require care and attention when drying, as preserving their flavor and color is integral to their usage. Gourmet and natural pet food. High Quality & Efficient Food Dehydrators and Dryers Made In The USA.